Get the new, faster speeds cable providers are offering without taking on their cable modem rental fees. This 2-in-1 WiFi router and DOCSIS 3.0 cable modem unleashes 8x faster download speeds-up to 340 Mbps-faster, smoother WiFi, and works with all major cable Internet providers. 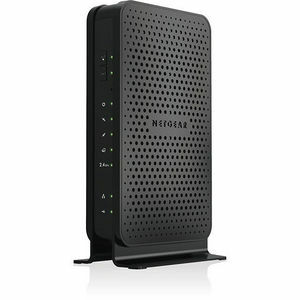 Learn more and explore all the features of this integrated DOCSIS 3.0 cable modem and N300 WiFi router. DOCSIS 3.0 is the next generation of Data Over Cable Services Interface Specification (DOCSIS), an international standard that lets cable operators deliver significantly faster data speeds to your home.